The struggle to combat the deadly Ebola virus is changing. Early in the outbreak which began in March 2014, public health organizations fought to keep up with the unchecked spread of the deadly disease that has ravaged communities and public health systems in West Africa. Now, however, there are signs that the fight against the disease is changing, and in some cases, for the better. In Liberia, the number of new infections has dropped to 20 new cases a day -- down from more than 100 in August. That's still a lot of cases, but the relatively dramatic decline gives doctors and health organizations breathing room to home in on the factors that are working to slow the spread of the disease. According to an article in Science, the decline has so drastically contradicted predictions about the spread, that public health experts on the ground have begun to discourage international aid agencies from building new clinics. No one is exactly sure why the numbers are falling, but here are a few factors that may be contributing to the positive direction in the affected countries. 1. 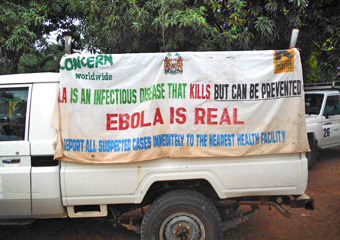 Public education and awareness: in Monrovia, Liberia pedestrians regularly encounter street signs, banners, and posters warning them about the virus. The signs address everything from conspiracy theories ("Ebola is Real") to confusion about what to do if you suspect that you or a loved one has the disease. 2. Safe burials: The World Health Organization (WHO) with guidance and support from local religious leaders published a 17-page guide on safely handling the remains of people who have died of Ebola. Key to the guidelines is its sensitivity to ensure dignified burials that are in accord with local Christian and Muslim traditions while keeping mourners safe from contracting and spreading the infection. This matters because some 20% of new infections could be traced back to traditional burial practices in countries with the highest infection rates. 3. Intravenous hydration: People infected with the Ebola lose massive quantities of fluids. Sometimes, patients lose 8-10 liters of water a day through vomiting, diarrhea, and blood loss. Aggressive hydration is a key to keeping sick people alive long enough for medical treatments to work. On the the other hand, it is often unpractical and even painful to drink the huge quantities of electrolyte-infused fluids that patients need to avoid dying from dehydration. Intravenous therapies are tricky because of the level of monitoring that is required in resource-depleted clinics and the danger to medical personnel of contracting the virus during insertion. However, a hospital in Sierra Leone found that its patients beat the odds when they received IV fluids administered by experienced nurses. The hospital reversed its patients' recovery rate such that 6 in 10 patients can expect to go home; and while that's not a home run, prior to instituting IV therapies, the rate was ony 4 in 10. 4. Improved contact tracing: In no small measure, the ways in which health authorities have been able to track infections among people who are afraid of being stigmatized is closely related to the first point: awareness and education. Being able to trace and treat people who have been exposed to the virus early means that they can be isolated and treated before being completely ravaged by the disease. This isn't easy. Countries like Liberia have witnessed a phenomenon called "ping-ponging" in which people who live and work in densely populated urban areas retreat to the their families in remote, rural locations for care when they get sick. It's probably too early to declare that we are winning the war on Ebola, but we are likely on the right track. In the Science piece referenced above, Swedish statistician Hans Rosling compares the early focus of the outbreak to rugby: health authorities had to play defense building facilities, disposing of corpses, setting up quarantines, and educating the public. Now, the challenge is more strategic. 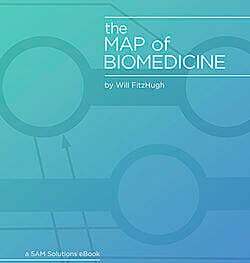 Clinicians and epidemiologists have to set up systems to track and combat the disease in the long term. According to Rosling, "...[n]ow it's chess."